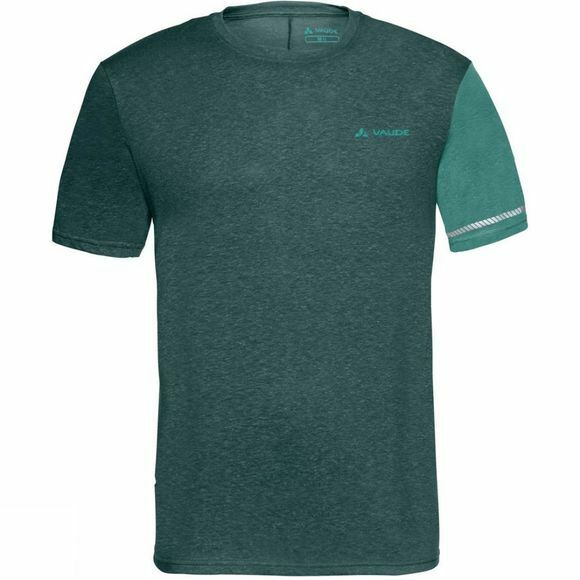 The Mens Cevio T-Shirt from Vaude is a relaxed fit short sleeve linen shirt is made for hot summer weather. A blend of synthetic fiber and linen absorbs body moisture and transports its quickly outward. The result is a pleasantly cool microclimate, even when the temps soar. 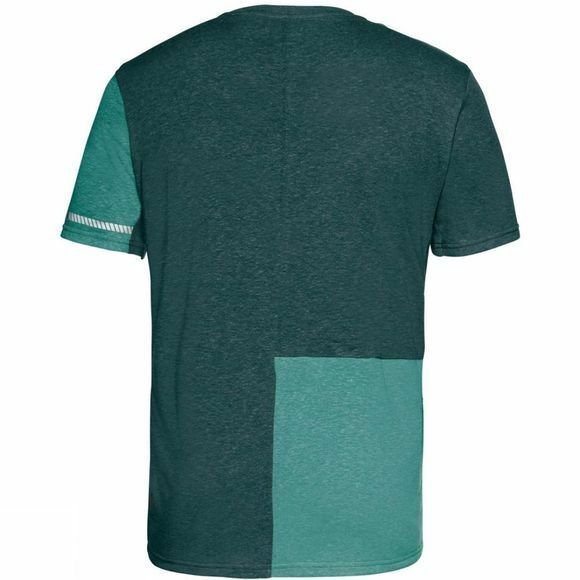 It features a small back pocket with zip in a contrasting color matching the left sleeve for valuables. Reflective elements are printed on the left sleeve for mobility in trafficroll it up and you'll be more visible in low light conditions. The Vaude Green Shape label stands for environmentally friendly, functional products made from sustainable materials.